The lowered first note (tonictonic) in the C major scale. This pitch has no solfeggio representation because the actual pitch is the same as the subtonic or seventh note (B) in the fixed do system. However, the note name C flat is necessary in certain instances such as the key of C flat major where C flat is the first note (tonic), or A flat minor, where C flat is the third note (mediant). 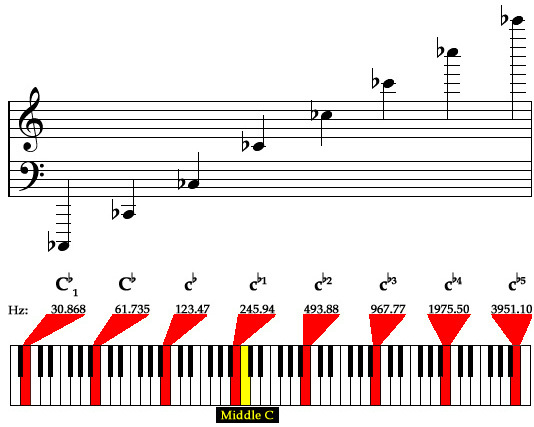 The frequencies of the audible pitches of C flat are notated below.